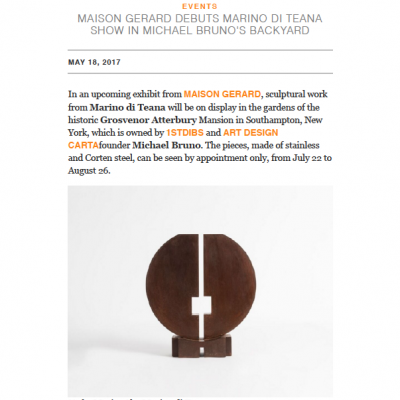 Maison Gerard is pleased to announce that it will be presenting the sculptural works of Marino di Teana (1920–2012) from July 22 through August 26, 2017 in the gallery’s first off-site exhibition. 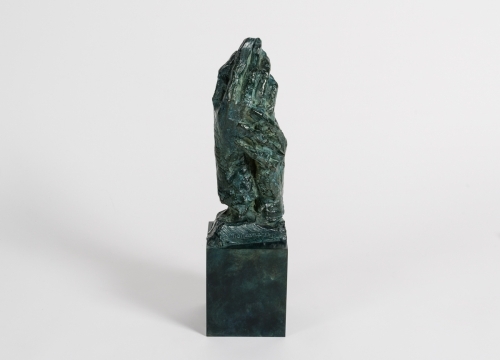 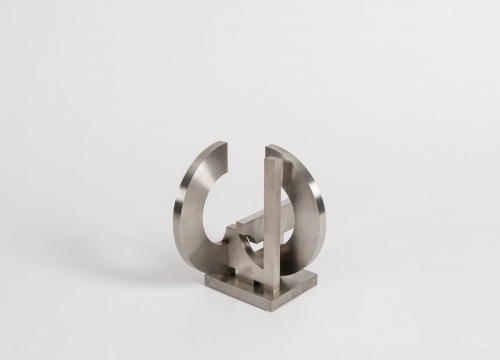 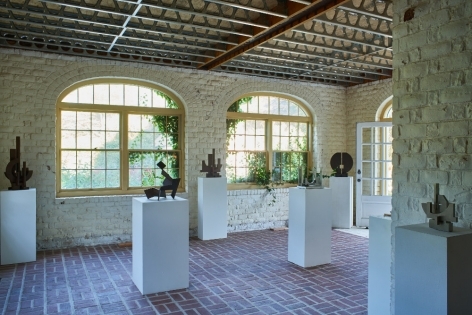 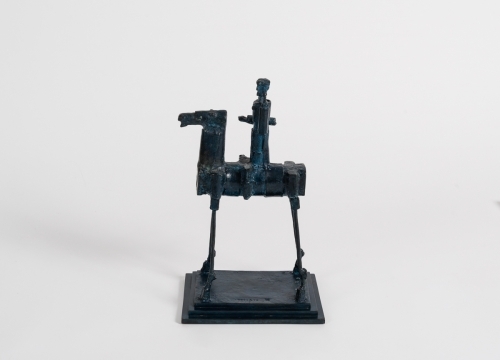 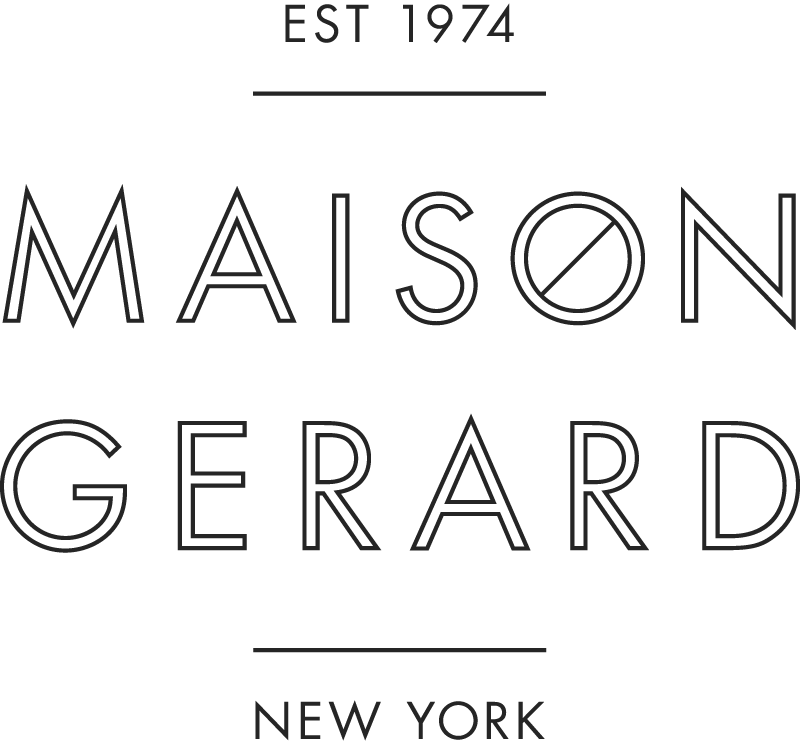 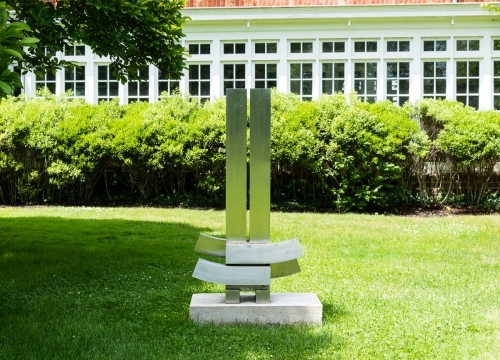 For this solo presentation of the late artist’s work, Maison Gerard will showcase eighteen sculptures created over three decades. 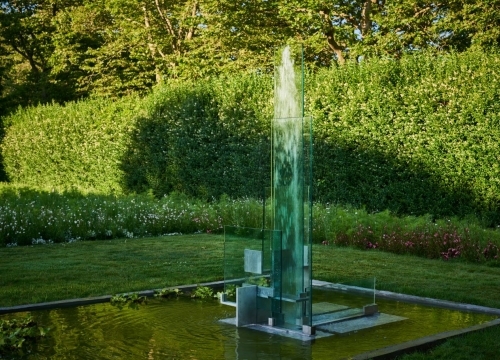 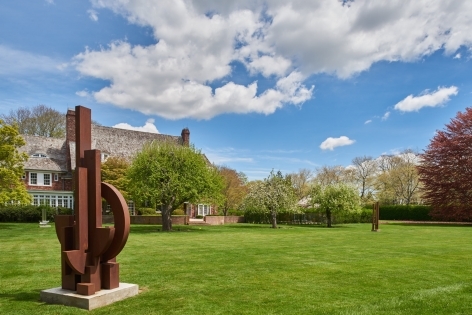 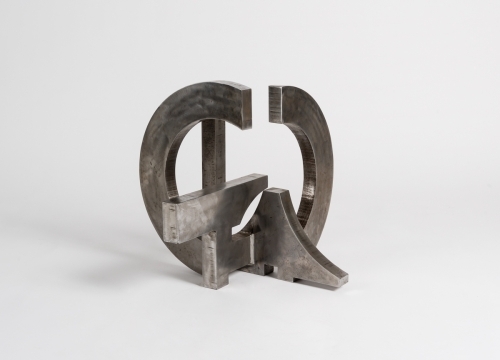 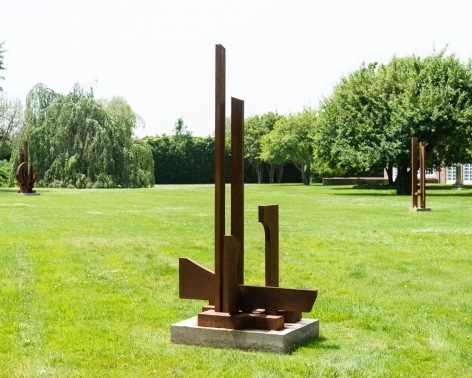 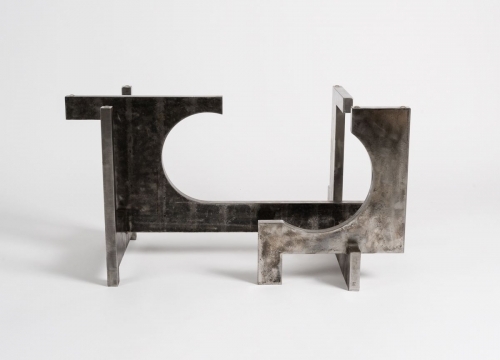 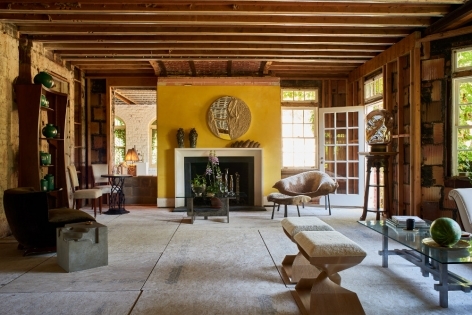 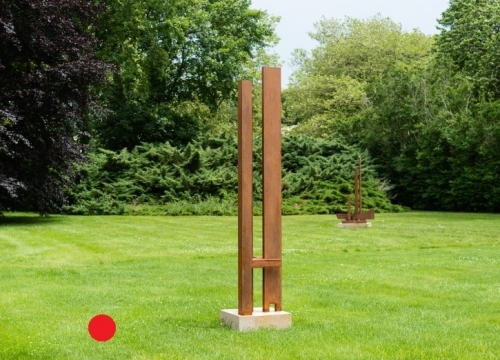 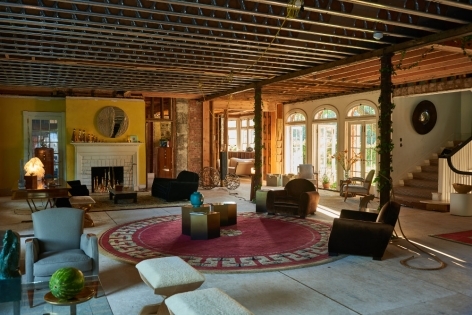 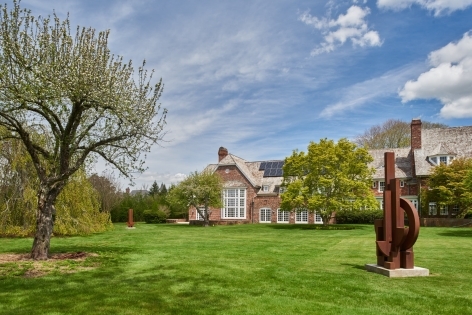 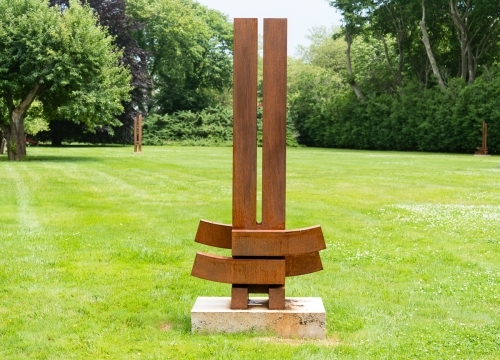 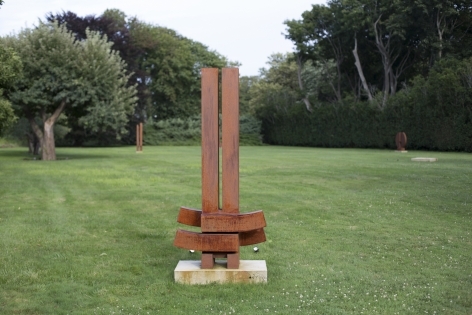 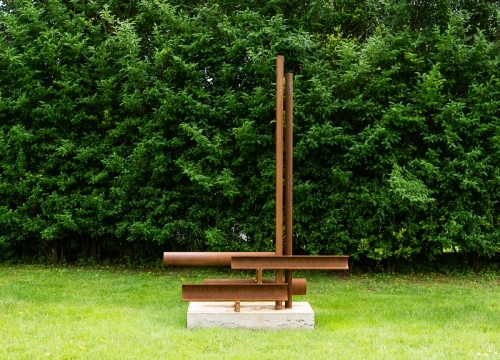 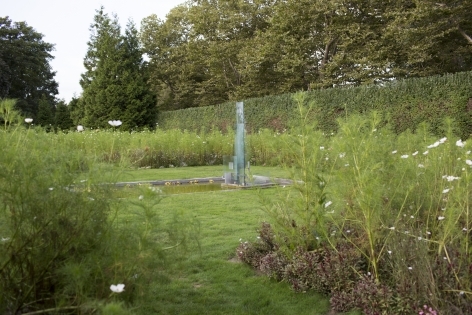 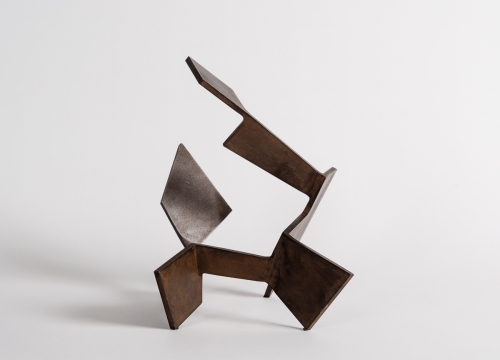 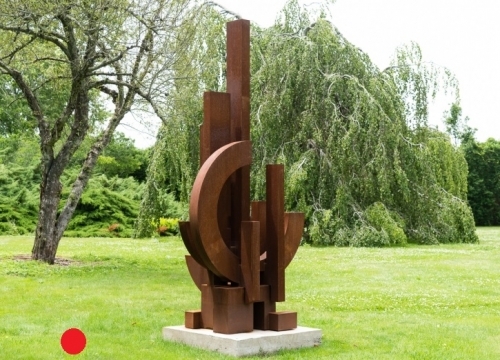 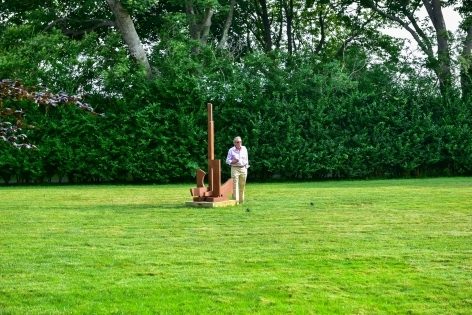 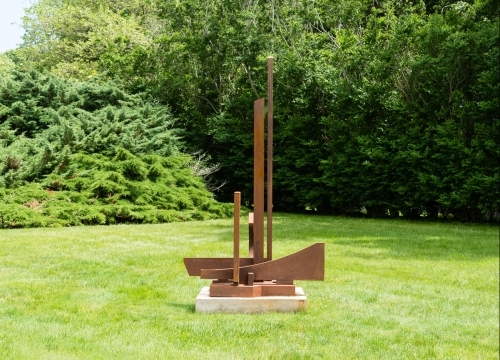 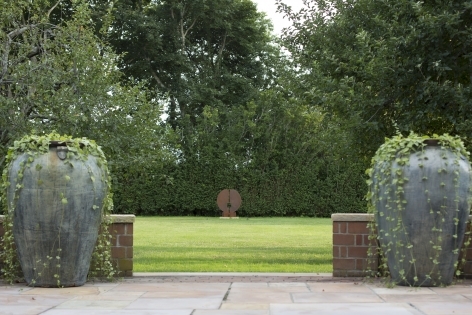 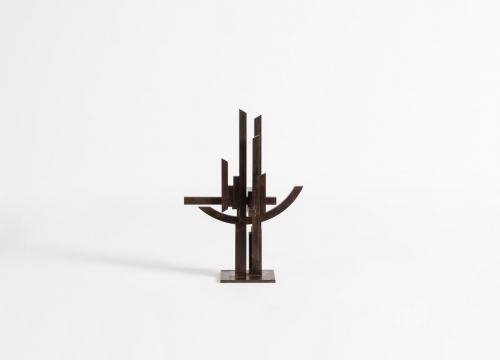 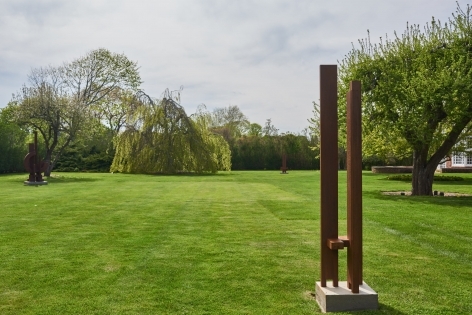 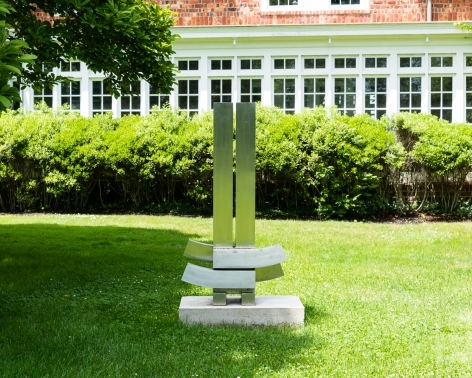 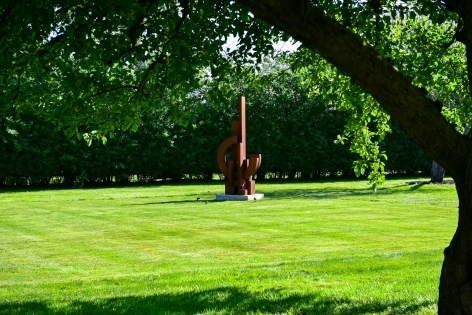 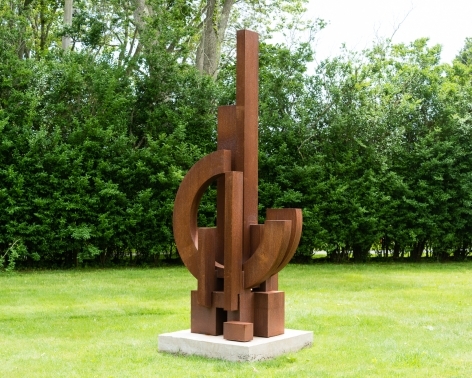 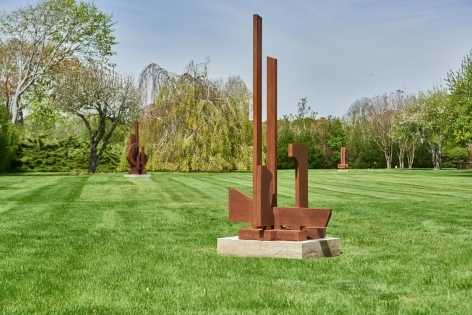 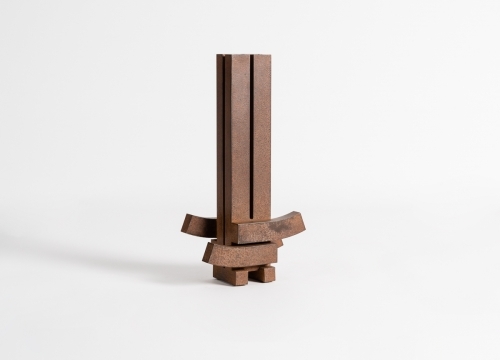 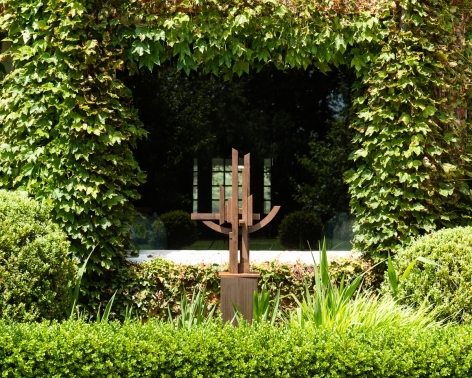 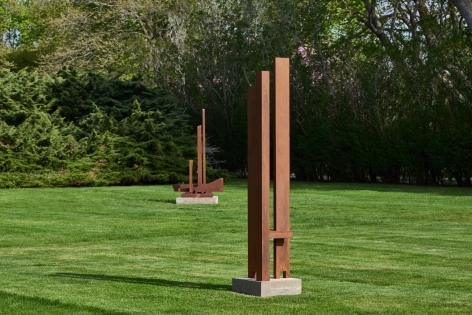 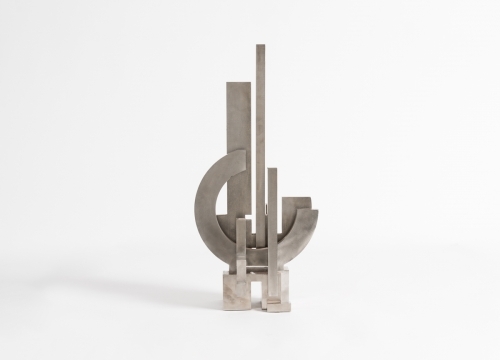 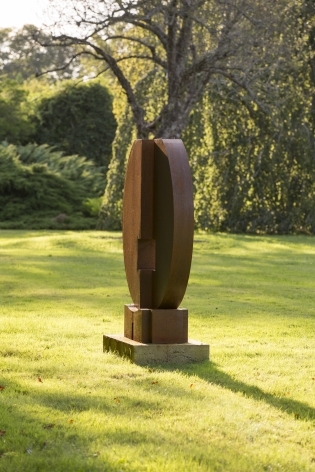 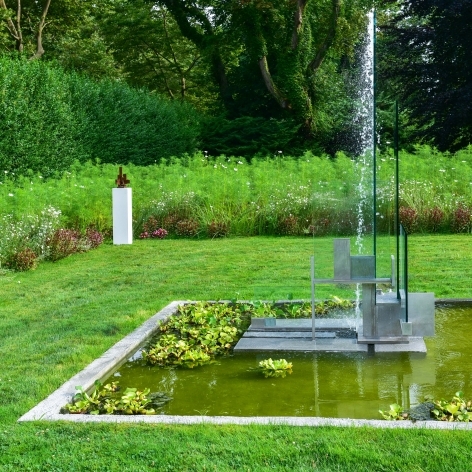 These works made of corten and stainless steel, ranging in size from small to monumental, will be shown within the landscaped gardens of a Grosvenor Atterbury mansion owned by Michael Bruno (founder of 1stdibs and Art-Design-Carta). 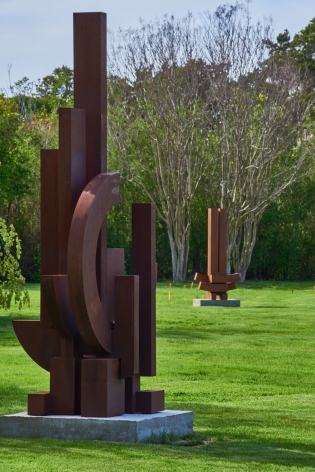 Located on a private estate, this exhibition will be open to the public by appointment, Monday–Thursday and daily, Friday–Sunday from 10:00 am to 5:00 pm. 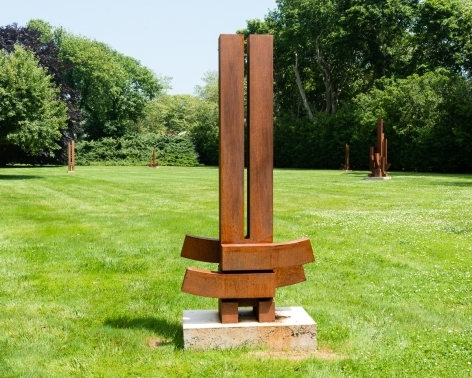 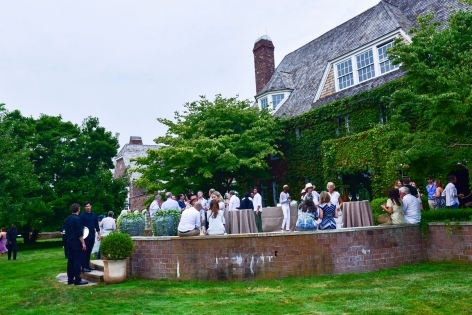 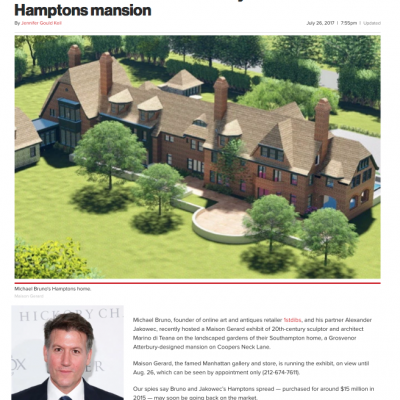 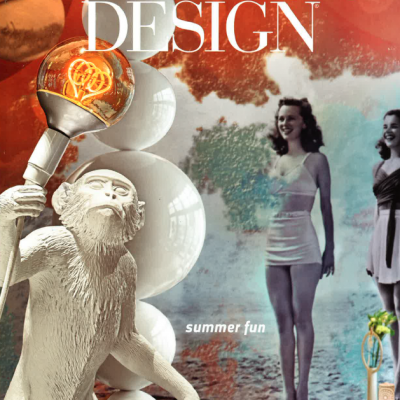 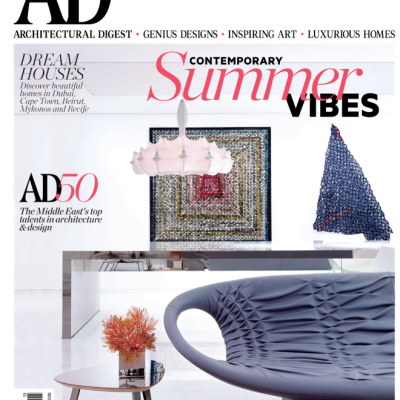 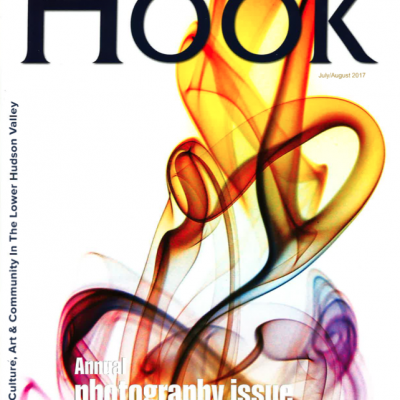 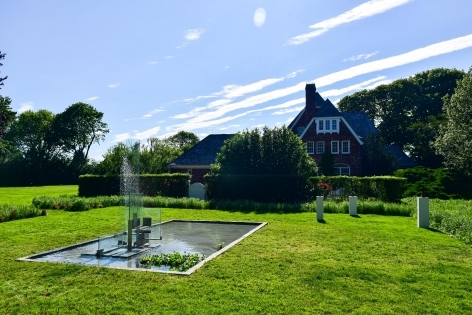 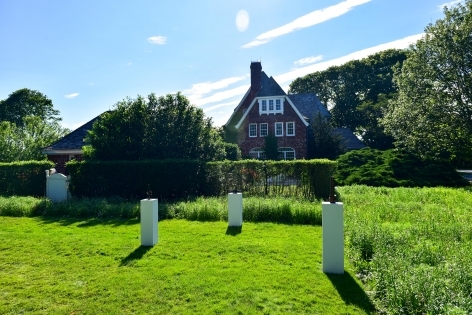 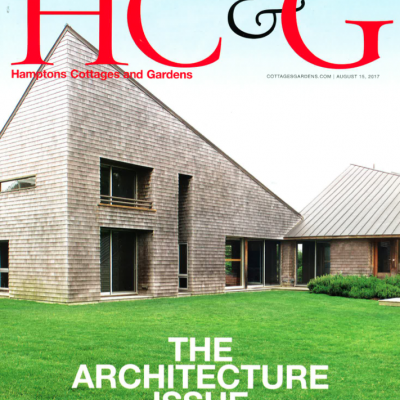 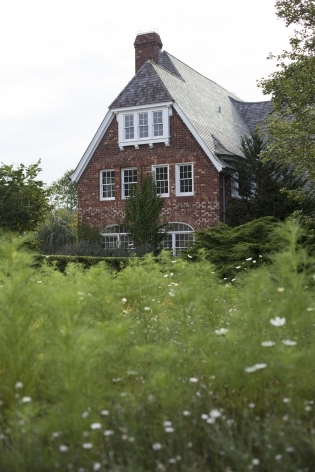 An opening reception will take place in Southampton, NY on Saturday, July 22 from 5:00 to 8:00 pm. 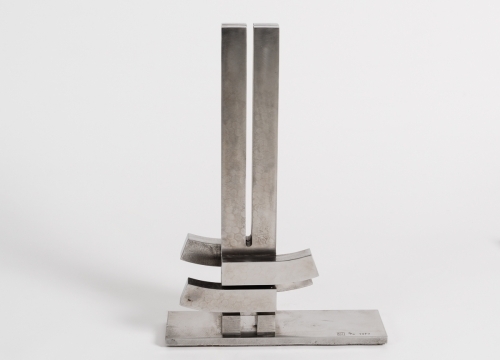 Marino di Teana, who gained widespread recognition in the 1960s and worked well throughout the latter half of the twentieth century, is known for his long storied career, his monumental public commissions, and as one of the forerunners of architectural sculpture. 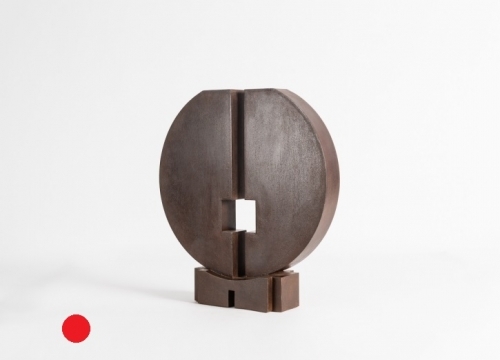 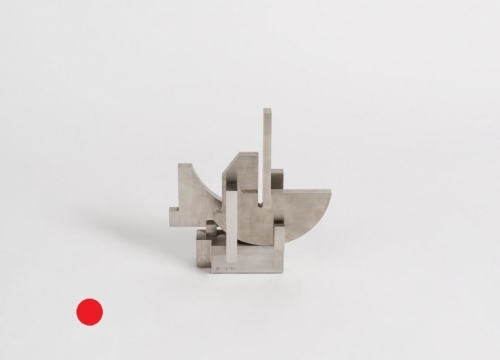 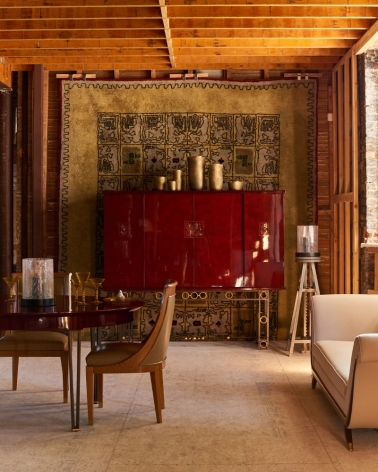 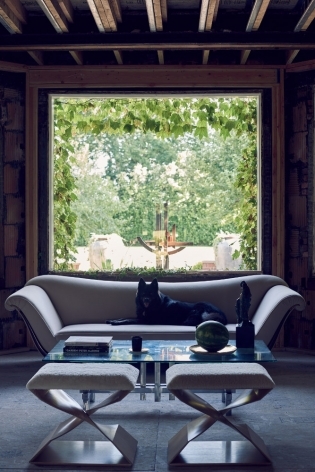 A trained engineer and architect, di Teana envisioned sculpture and architecture as one. 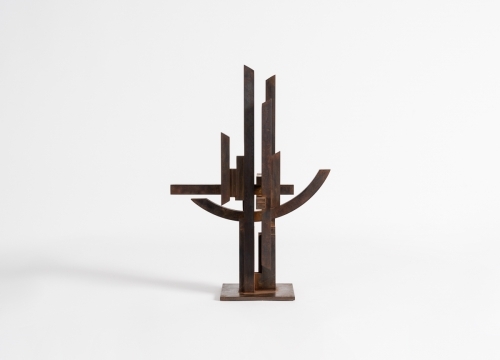 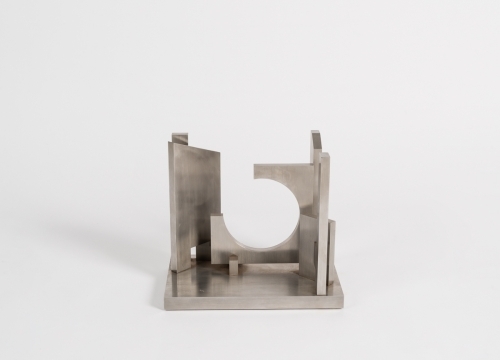 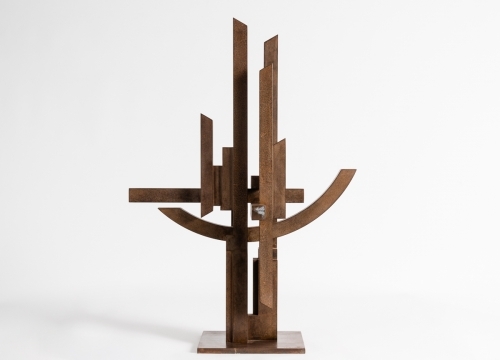 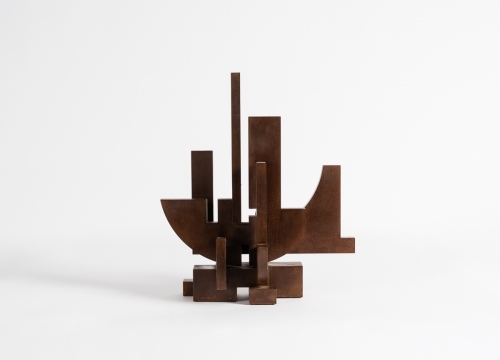 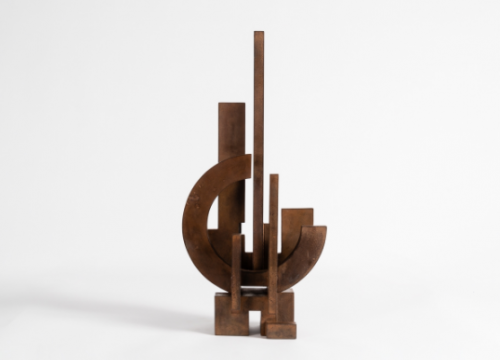 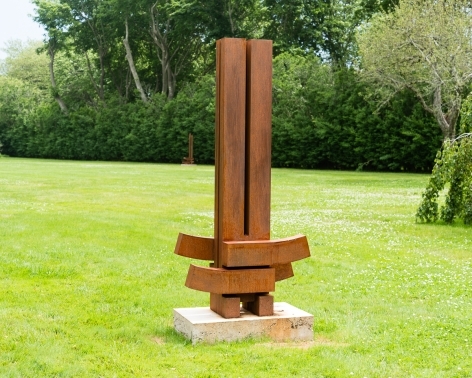 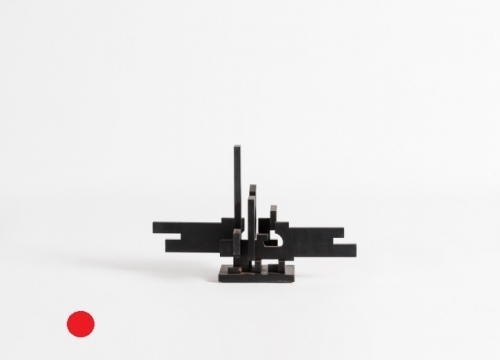 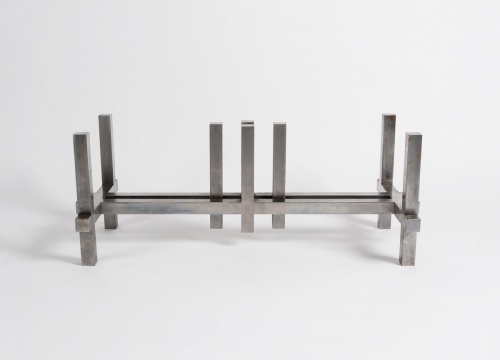 He employed the use of industrial materials like steel, viewed his sculptures as complete structures (sound in scale and structural balance), and pioneered a theory of form, called "tri-unity," wherein a sculptor’s arrangement of negative space played as important a role as his arrangement of physical mass. 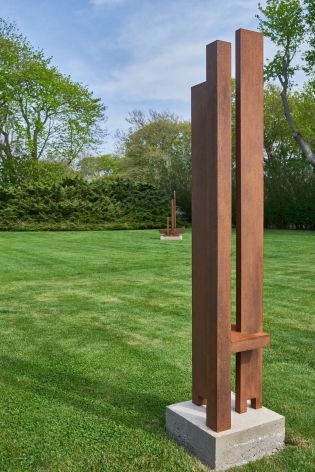 Marino di Teana’s life was marked by a passion for art that took him from his small town in Italy to Buenos Aires, where he worked as a mason to pay for night classes in architecture, and at last to Paris, where he became homeless in order to pay for his study of sculpture, and slept in public gardens (often in front of the Musée Rodin). 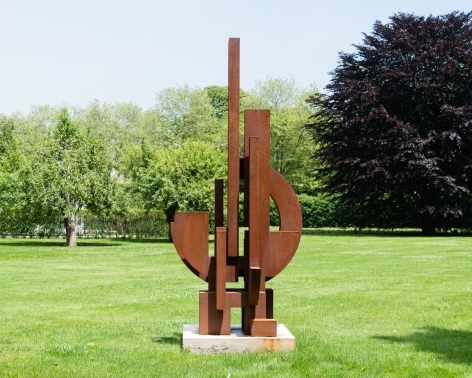 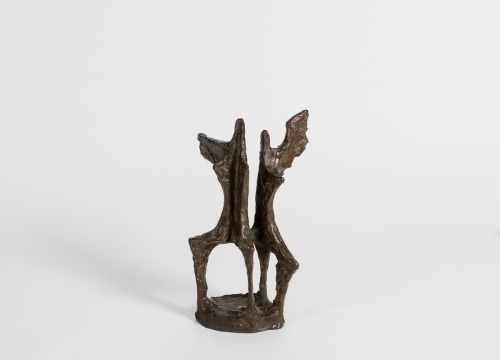 His break came in 1962 when one of his monumental sculptures won first prize in a competition held by Saint Gobain, chosen by a panel consisting of, among others, Ossip Zadkine, Serge Poliakoff, and Alberto Giacometti. 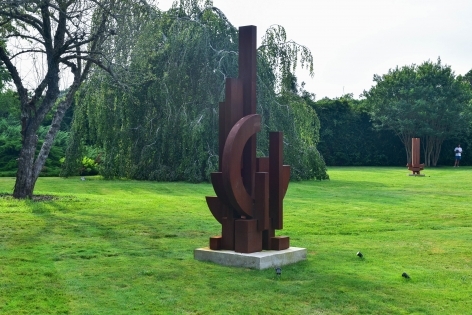 Thereafter, di Teana produced over fifty monumental sculptures for public spaces throughout Europe; was given retrospectives at the Saar Museum in Saarbrücken, Germany and at the Musée d'Art Modern in Paris, France; represented Argentina at the Venice Biennale and France at the International Symposium of Arts and Sciences in Seoul; and was appointed a member of the National Academy of Fine Arts and Architecture of Argentina, was established a Chevalier des Arts et des Lettres by the French government, and was honored with a public monument in his birthplace of Teana, Italy. 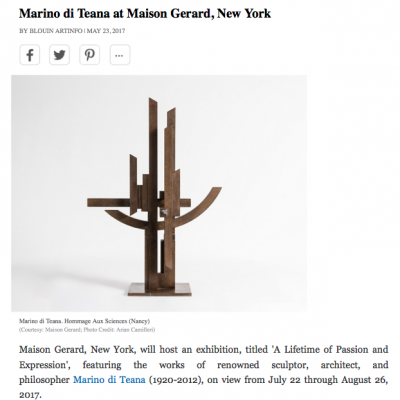 This exhibition will be the first show of its kind in the United States—rare, primarily, for its range of scale. 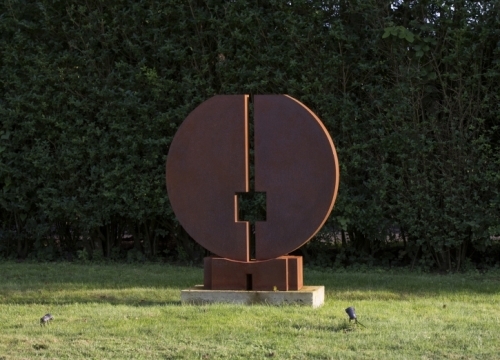 One the sculptures to be shown, Hommage à Lao Tseu, is an eighteen inch high stainless steel piece, (which, in a larger form resides in the Centre Georges Pompidou), while another sculpture slated for exhibition, Liberté, is 120 inches high and composed of corten—a model of a piece commissioned in 1989 for a square in the Fontenay-sous-Bois, which, standing at 69 feet, was until recently the highest steel sculpture in Europe. 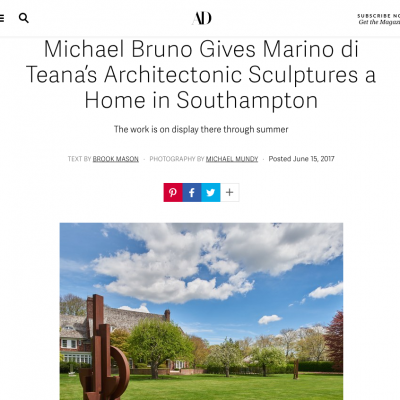 While Marino di Teana’s versatility and immense scale impress, it is his purity of design that ultimately commands our attention. 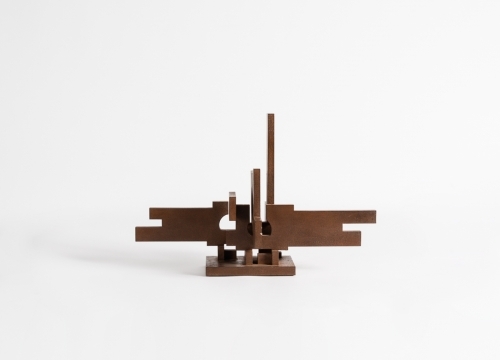 No piece is a mere architectural model. 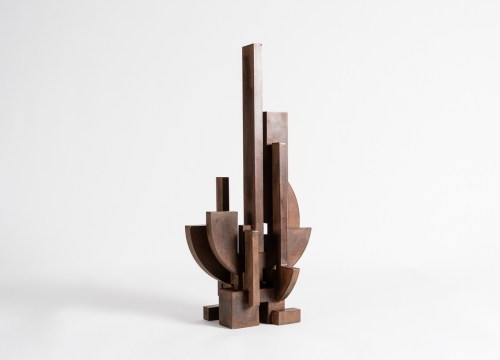 Regardless of whether his pieces fit in the palm of your hand or, instead, rise to the height of city blocks, they are at once fully conceived sculptures and beautifully composed structures, not a single one of which could be wrought without di Teana’s singularly deft understanding of space. 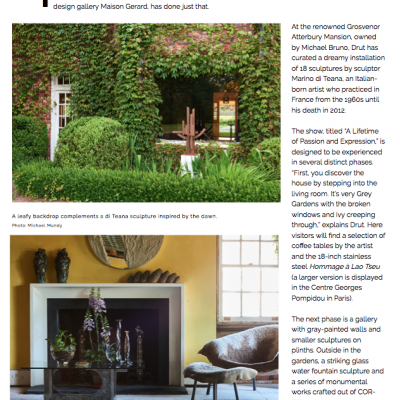 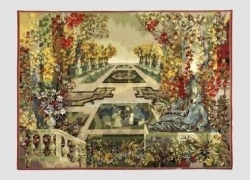 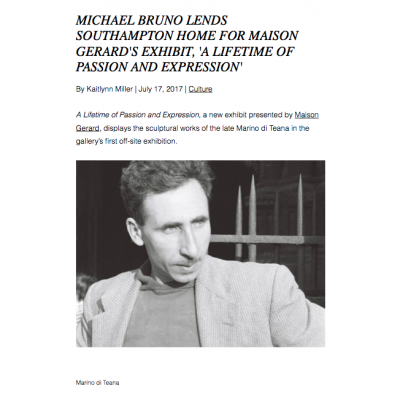 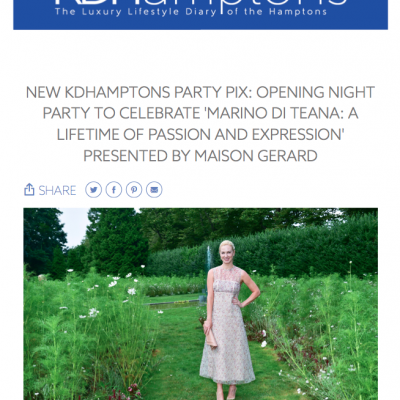 As Benoist F. Drut, Gallery Principal of Maison Gerard, says of the exhibit, “not only has his work never been available to an American audience in such a comprehensive exhibition, but, presented against the brilliant backdrop of an Atterbury home and its grounds, we can at last experience the breadth and scope of this incredible artist’s vision in a way the artist intended: in the open and on its own terms. 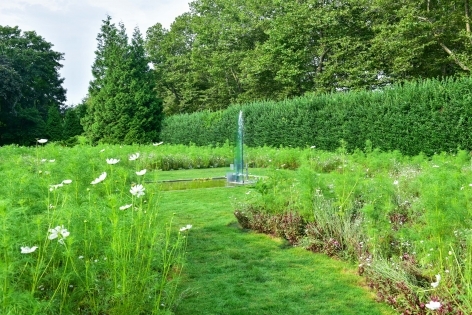 We’re very pleased to have this opportunity to convey how relevant di Teana remains today.” To create the idyllic setting for these architectural sculptures, Drut turned to friend and landscape designer, Kimberly von Koontz, to create the perfect juxtaposition of layered cut grasses and wildflowers paths from which to discover and view these works. 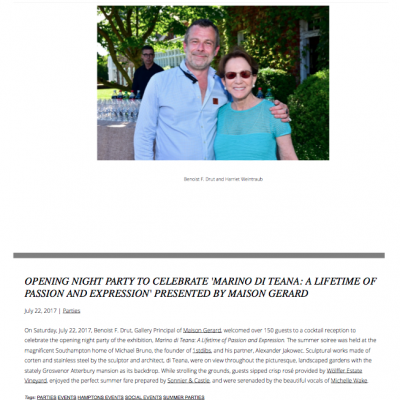 Marino di Teana’s work can be found in the permanent collections of the Tome, Japan, the Museum of Contemporary Art, Paris, the George Pompidou Center, the National Contemporary Art Museum, Korea, and The New Contemporary Art Museum MAC/VAL. 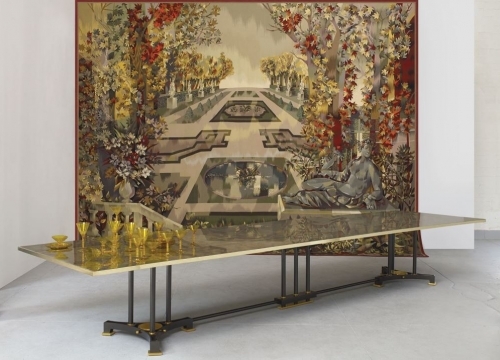 It is also held in a number of private collections, including those of L’Oreal and Francois Pinault.